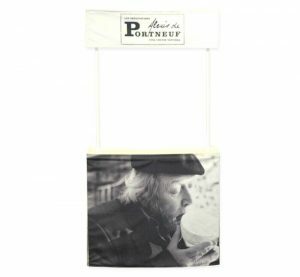 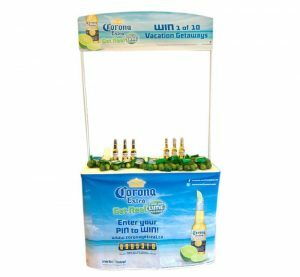 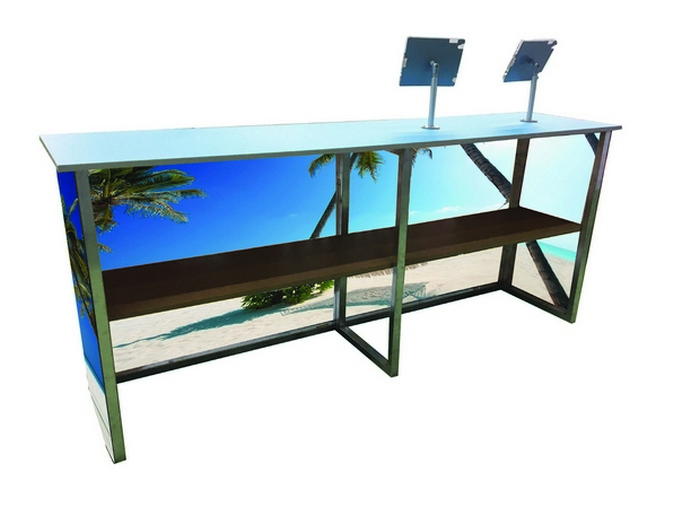 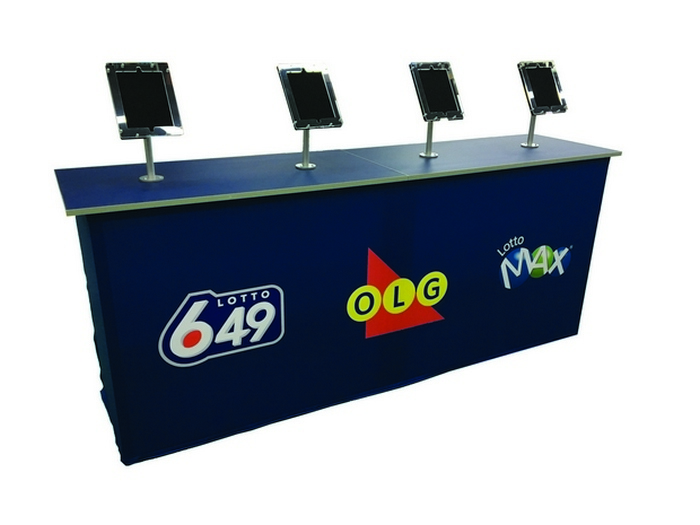 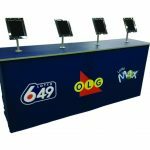 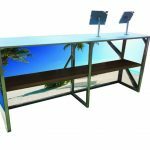 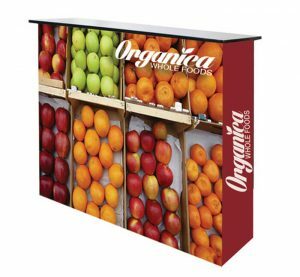 Make a powerful impression at your exhibit or brand activation with an EXP-7 Super Wide Foldable Counter. 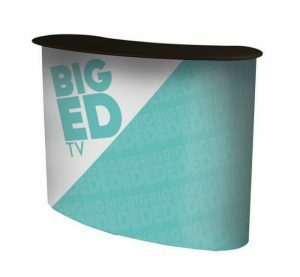 As our largest counter, it has the biggest surface and brandable area. 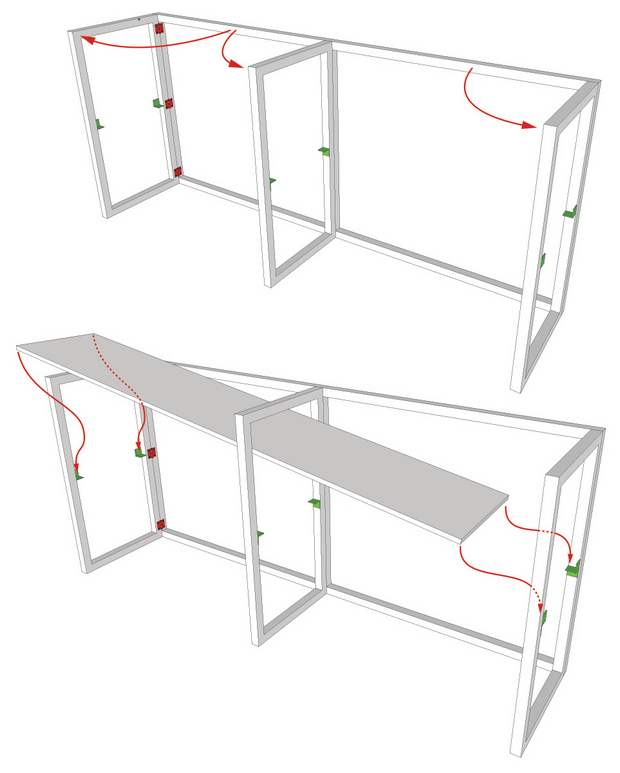 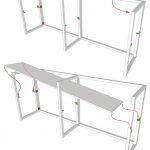 Easy and quick to install – no parts or tools necessary – Filip, unfold, open & close! 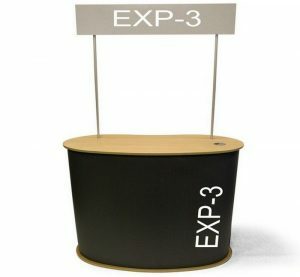 5-year warranty on defects in materials and workmanship on the frame.